Making friends can be a challenge for all children, but those with autistic spectrum disorder (ASD) can struggle more than most. 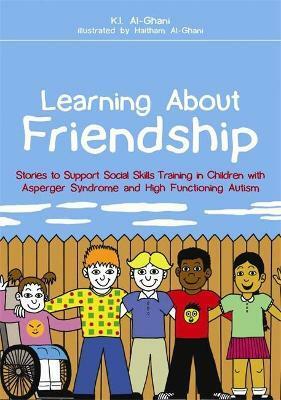 This collection of ten fully-illustrated stories explores friendship issues encountered by children with ASD aged four to eight and looks at how they can be overcome successfully. Key problem areas are addressed, including sharing, taking turns, being a tattletale, obsessions, winning and losing, jealousy, personal space, tact and diplomacy, and defining friendship. The lively and entertaining stories depersonalize issues, allowing children to see situations from the perspective of others and enabling them to recognize themselves in the characters. This opens the door to discussion, which in turn leads to useful insight and strategies they can practise and implement in the future. Each story has a separate introduction for adults which explains the main strategies within it.